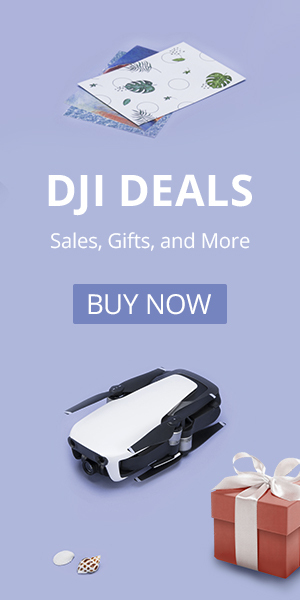 The Ryze Tello is one of our favorite drones and is probably the best drone you can get for under $100. However, it does not typically ship with a physical remote. In order to fly it, you have to rely on the app and touchscreen controls. For another solid review of the Tello check out this post on www.dronedj.com. Now the Tello is most definitely a perfect drone. Its biggest issue is the WiFi connection to the app. If you fly in neighborhoods with a lot of internet networks you’ll most certainly have video quality issues. Even in open areas, the WiFi connection is prone to frame dropping resulting in poor quality video. We hope that Ryze fixes this issue with the second version of the Tello by including an onboard SD card slot to store the video. As it stands you’ll have to rely on saving to your phone and the quality you see streamed is the quality that you’ll get. Sometimes adding a WiFi range extender like the Xiaomi Mi extender will alleviate the problems. Make sure that your Tello is also running the newest firmware as that will help. Keeping the Tello close and flying away from neighborhoods will also help. While the app is pretty darn good we almost always prefer a physical remote. 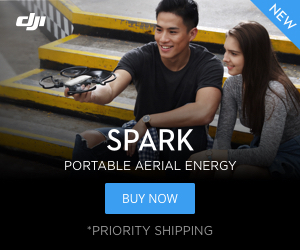 DJI recommends the GameSir T1D remote and it even comes as a package deal. We got our package deal from Banggood and put it to the test. The GameSir T1 connects to your phone via Bluetooth and allows you to control your Tello. As an added bonus you can do more than just fly your Tello with this remote. If you are into mobile gaming the GameSir will add a whole new dimension to a ton of iOs and Android games. It is even compatible with some PCs. The GameSir is versitale and can be used with more than just the Tello. Take a look at the GameSir T1D holding an iPhone. We have tried remotes with the Tello before and the MadCatz remote seemed to do the job. It did have video connection issues, but those were solved by adding the Xiaomi WiFi extender. The GameSir T1 remote both looks and feels higher quality than the MadCatz we tested. It also did cause any video issues. In fact, it was easy to set up and use with the Tello. We did notice a bit of lag in the controls and it wasn’t quite as precise as flying with the onscreen app controls. This was also the case with the MadCatz remote we tested. Take a look at the Tello and GameSir T1D. The video quality from the Tello was pretty good and was not degraded when using the GameSir in our experience like it was with the MadCatz. However, we weren’t able to use the Xiaomi WiFi extender with our Tello when the GameSir T1 was connected. The Tello seemed to be getting interference and wouldn’t respond when the WiFi extender and Bluetooth remote were connected at the same time. Disconnecting the WiFi extender solved that issue. Should You Get the GameSir T1? That largely depends on you. If you must have a remote control then this is probably the best option. However, the app control is really good with the Tello and is even more precise. Plus without the remote, you can use the Xiaomi WiFi range extender and get up to 5x the distance on your Tello. Learn how to extend the range of your Tello HERE. The free Tals app did extend the altitude limit on our Tello to 30 meters. We also tested out the Tals app for the Tello. This app allows you to set the altitude limit on the Tello up to 30 meters. It works well but you have to realize that the downward facing sensors are able to keep the Tello as stable that high up. You will have to fly with extreme caution and know that one big wind gust that high up can take your Tello for a ride. We picked up our Tello and GameSir from Banggood and they are running some sweet deals and coupon codes. Check them out.